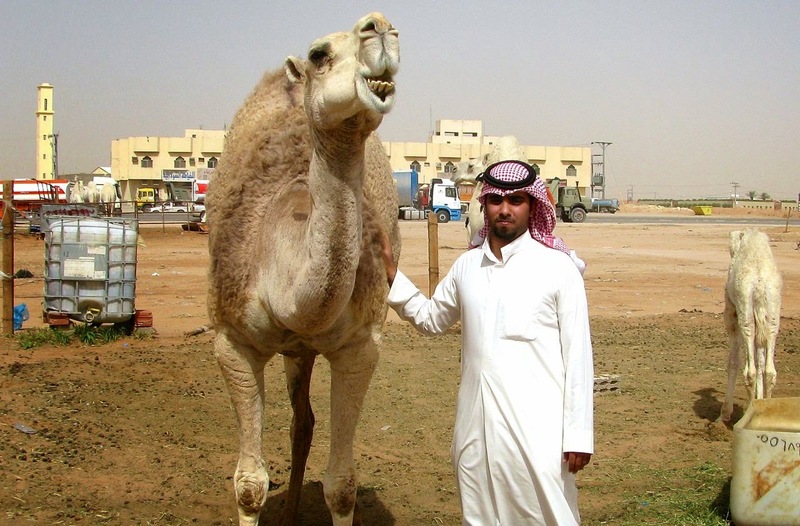 Fancy buying a camel? Here you can. Can't bring it home with you? No worries, have some tea, admire these fancy beasts, and snap a few pictures. In the middle of the blistering Saudi desert, about 30km outside of Riyadh. Map. CAMELS DO OF course symbolize Arabia. Having said that, these days you'd be forgiven if you think that air conditioned malls symbolize Saudi Arabia. 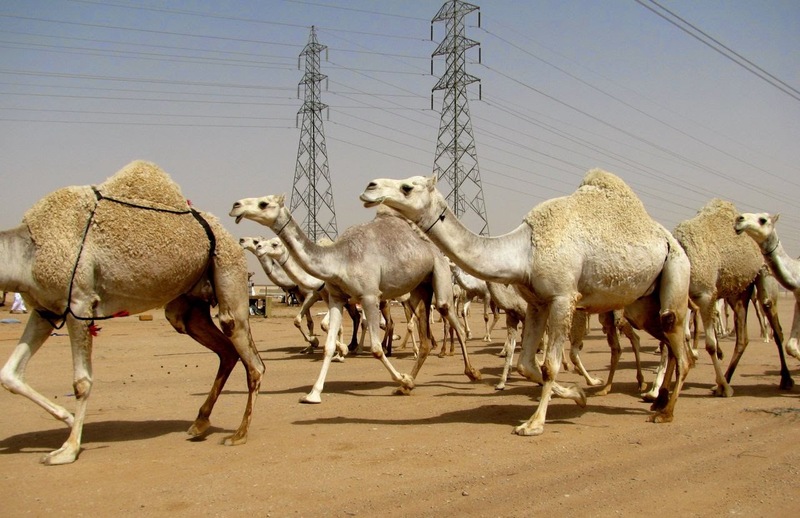 Camels are few and far between in Saudi Arabia's urbanized society. 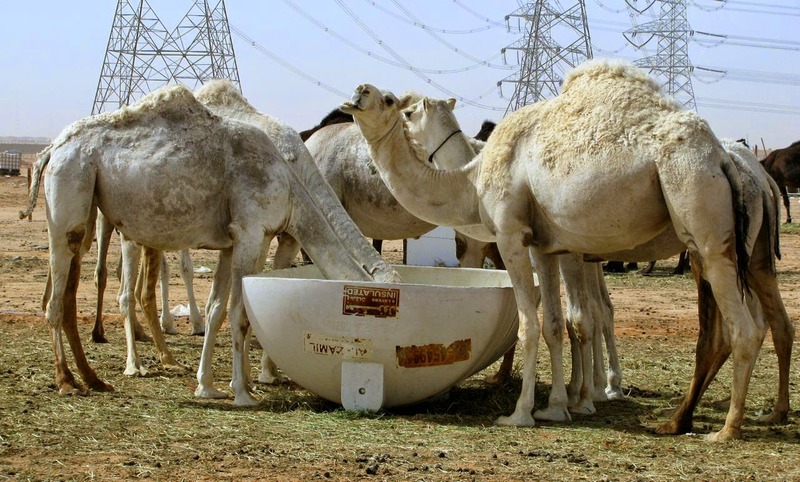 Still, camels are still very popular with Saudis, who these days keep their camels as what's sometimes referred to as 'companion animals' (that's a pet to you and me). 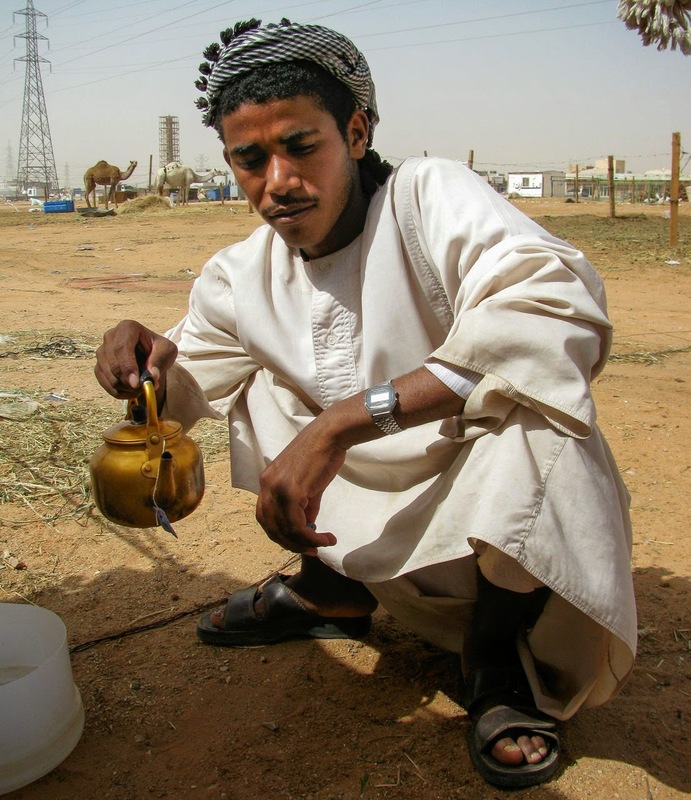 Given that Riyadh is rather short on sights, if you find yourself with some time on your hands (and it's not like you're going to be able to find a pub to kill some time), hop in a car and go to the camel souk outside the city (known as the souq-al-jamal in Arabic). There are several acres here with scores of vendors and 1000s of humpbacks. According to an interesting article in the New York Times, Saudis (presumably men only) judge their camels like they judge a beautiful girl: 'You look for big eyes, long lashes and a long neck' (Note: I will steer well clear of jokes about the other things Saudi men supposedly do with camels that they'd like to do with girls). Isn't she beautiful? Shame about the teeth though- perhaps she's English? 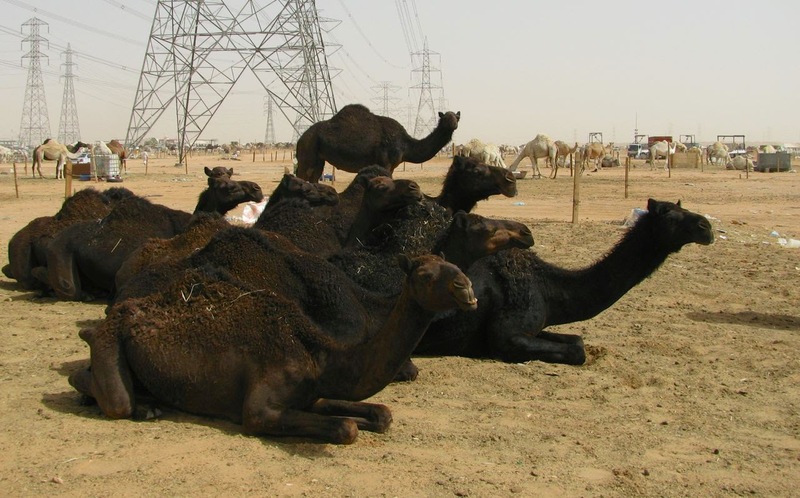 Apart from keeping them as pets, the camels are used for races, and apparently also taken on picnics in the desert. Having camels is a gentlemen's pastime- a bit like an English lord with his horses and hounds. At the souk, camels come in all sorts, sizes and colours. There are black ones, white ones, and even camel-coloured ones. Given that this is a market, don't hesitate to talk prices with the salesmen, who will be eager to put their best wares on display for you (although if you're a Westerner, chances are they are clued in to the fact that you are unlikely to take one home with you). 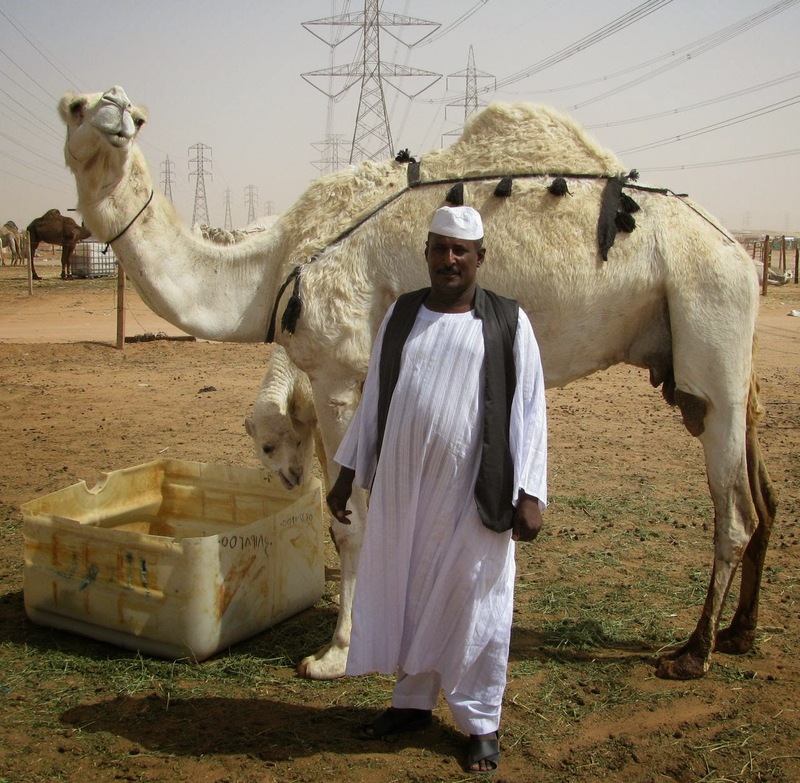 A good camel can be had for the price of a second hand car- expect to pay the equivalent of a few 1000 US dollars for a half-decent beast. Clunkers can be had for a bit less. But the Ferraris among camels can fetch up to a million US dollars. Fancy that. Combined value: a small house. Even if you're not in a mood to buy, you're likely to be offered some tea. With the obligatory 12 cubes of sugar. The only way to get here is to drive. A taxi will do. Take the road towards Damman and take the Thumamah exit.